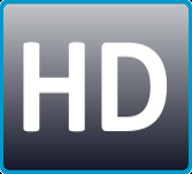 Digital UltraViolet and Digital Copy will makes it possible for you to stream the movie Logan HD Ultraviolet or iTunes Code instantly to your computer and compatible Smartphones, Andriod, iphone, iPod Touch, iPad and tablets devices anytime, anywhere. 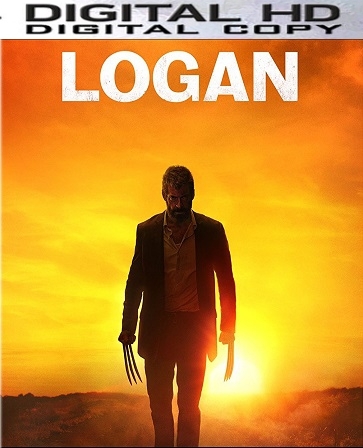 You can also download a Digital UltraViolet Copy or a Digital Copy of the movie Logan HD Ultraviolet or iTunes Code to your computer and compatible devices. Directed by James Mangold (The Wolverine, Walk the Line) from a screenplay by Mangold, Scott Frank (The Wolverine, Get Shorty) and (Heroes, American Gods), Logan is a finely crafted movie with a moving script and excellent performances that bring the Hugh Jackman Wolverine story-arc to a fitting conclusion. The story is set in a not-too-distant future of 2029, but it's a world that's changed dramatically for mutants in general and for James "Logan" Howlett (Hugh Jackman in truly top form), who no longer goes by Wolverine, and Charles Xavier (Patrick Stewart in arguably his best performance in the role), who's no longer a professor anywhere. The intervening years have not been kind to either man. Logan's healing factor is failing, his body having apparently been slowly poisoned over time by the adamantium fused into his skeleton as part of the Weapon X program. Xavier, who's now in his 90's, is physically frail but also suffers from advancing neurological degeneration and seizures which must be suppressed medically to avoid devastating telepathic eruptions that can lay out anyone who happens to be in the vicinity. With assistance from fellow mutant Caliban (Stephen Merchant), Logan looks after Charles, holed up in an abandoned factory near the Texas/Mexico border where he works as a limo driver for rich tourists. Logan, Xavier and Caliban are seemingly among the last mutants around. For some reason, no new mutants have been born in the last twenty-five years. Or so it would seem until they encounter an 11-year-old girl named Laura (Dafne Keen who definitely holds her own in scenes with Jackman and Stewart), of whom Xavier tells Logan "She's like you... very much like you." The good thing about the screenplay is that you don't need more than a basic familiarity with the main characters - Jackman's Wolverine and Patrick Stewart's Professor X - to follow what's going on. One of the best things about Logan as a film, which helps make it arguably the best film of the X-Men/Wolverine series, is due to the excellent screenplay that allows both Jackman and Stewart to really flex their considerable acting talents and bring new depth and perspectives to their roles as Logan and Xavier, characters for whom the world has vastly changed and not in good ways. As is already hinted at in the trailers, Logan's healing factor is failing him as is Xavier's health and mind. The end of the road is all too visible for both men and both have to face their personal doubts and fears in ways they never had to before. As a result, Jackman and Stewart give the best performances of their characters to date, not to mention some of the best performances of their careers. It is a credit to young Dafne Keen that she can hold her own in her scenes with these two veterans as well as the scenes where she's on her own. The musical score by Marco Beltrami (The Wolverine, The Hurt Locker) is suitably atmospheric, suggesting a worn-down weariness in some scenes but jumping into an edgy adrenaline-rush feeling in others, but always in the background, never over-powering or distracting from what's happening on the screen. Highly, highly recommended for anyone who's ever been a fan of superhero movies in general, of the X-men series in particular, or of just great story-telling and moving performances by a great cast.